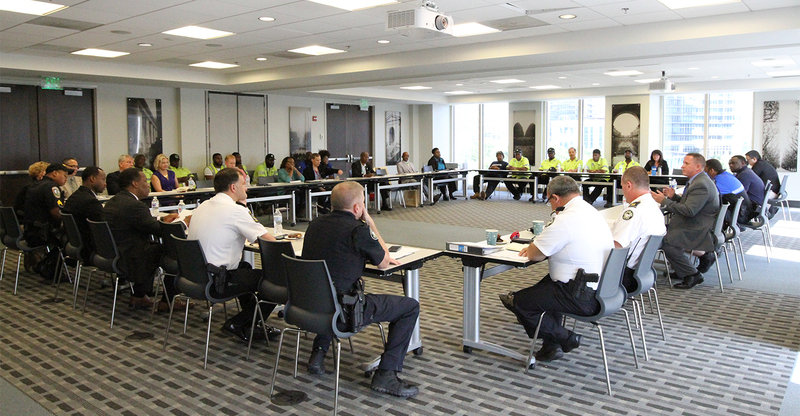 Members of Midtown Blue and Midtown Green were recognized for their extraordinary service at a recent interagency public safety coordination meeting. 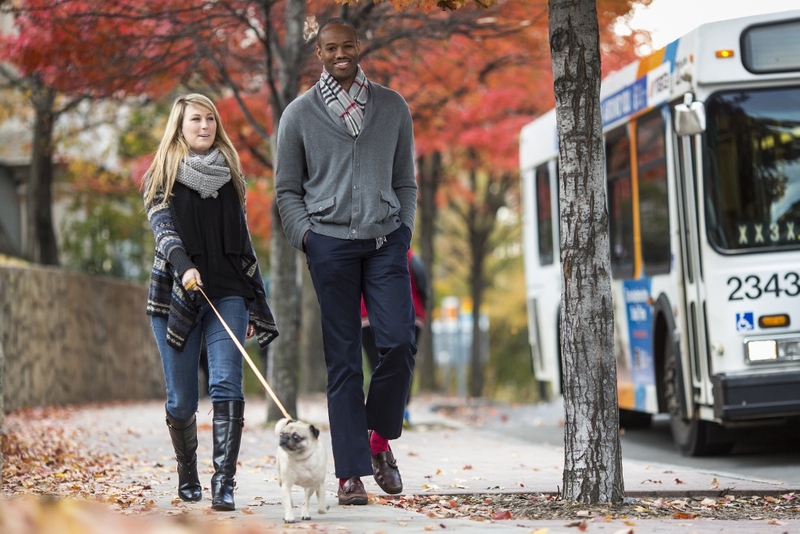 "I am so thankful and appreciative that we have team members who go above and beyond the call of duty to serve our community," said Midtown Alliance's Director of Public Safety and Operations, Marcus Neville. "Each of these personnel who work for us have routinely gone out of their way to make the community a better place in the way that they perform their duties and approach their jobs with high levels of professionalism and a customer service mindset." 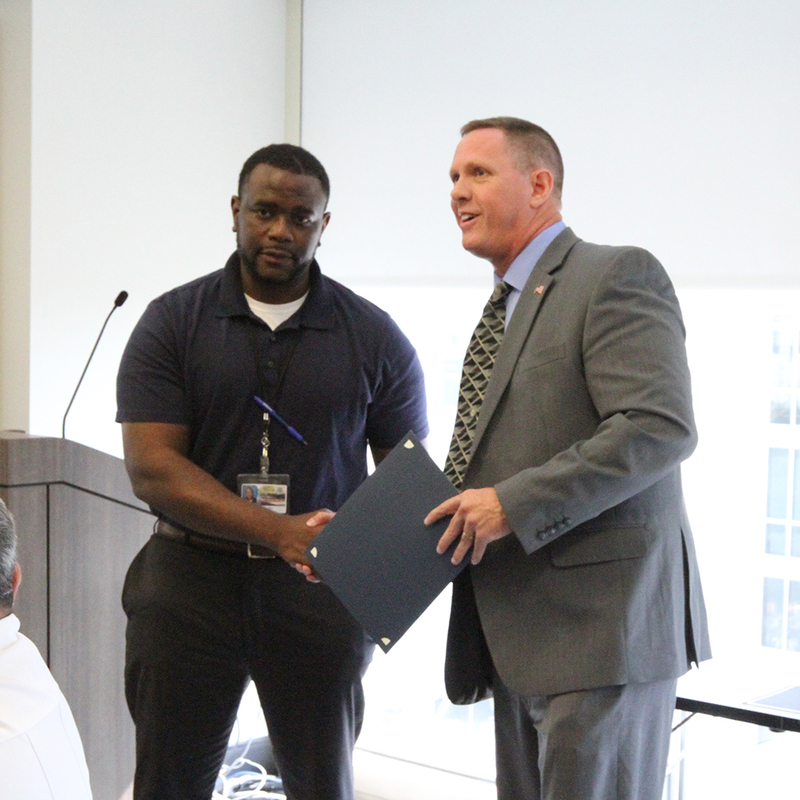 Midtown Blue Public Safety Officer (PSO) Byron Watkins was commended for assisting APD with an arrest. PSO Terry Sadler received recognition for his role in arresting a suspect involved in several incidents, including theft from auto and robbery. 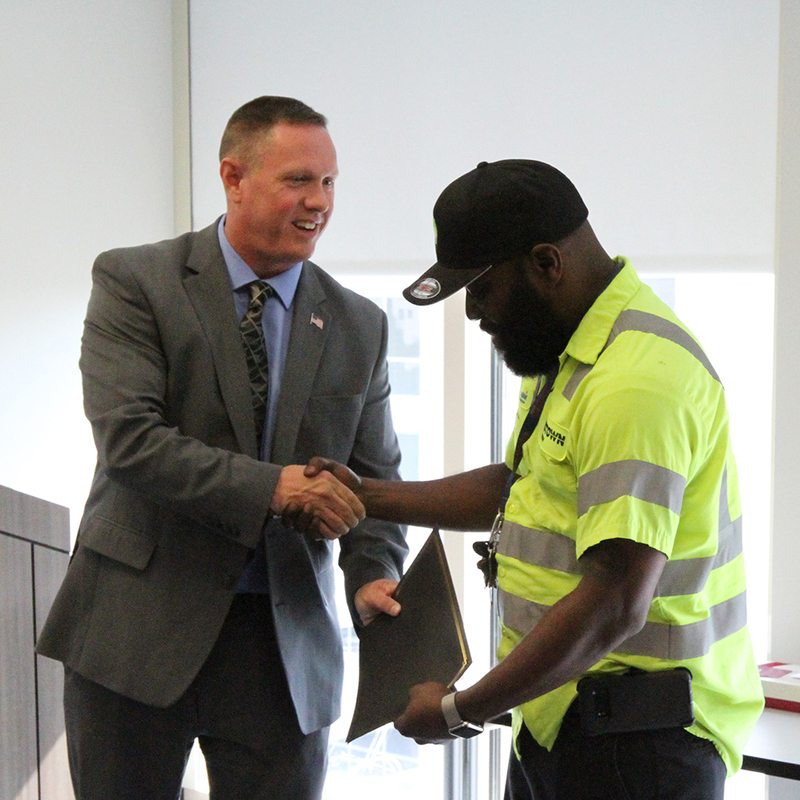 Midtown Green weekend Shift Supervisor Dennis Artis was recognized for his efforts to help an elderly Midtown resident who was locked out of her condo. 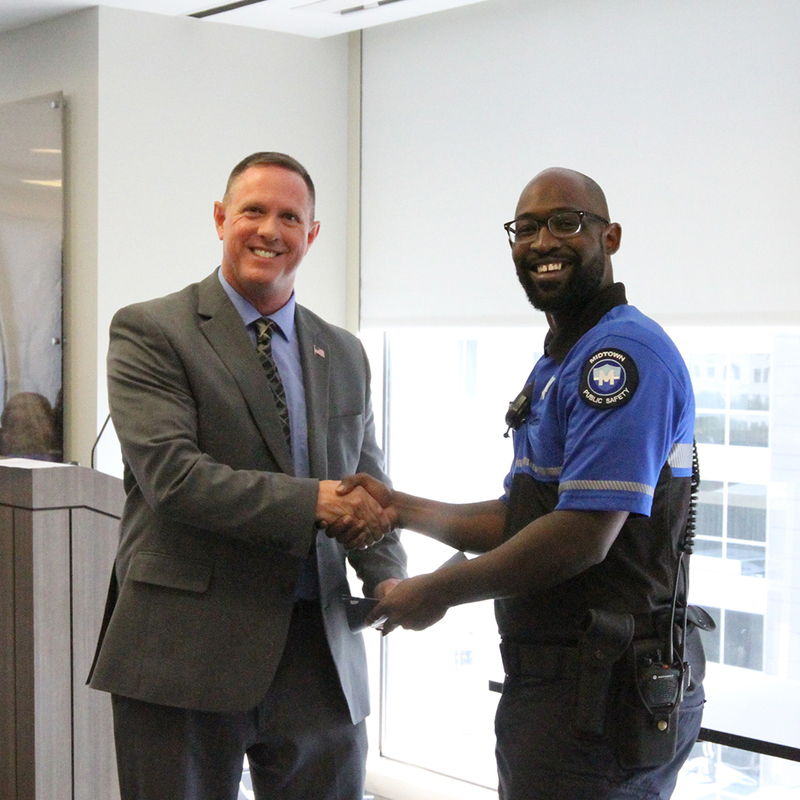 PSO Desmar Burton was commended for the extra work he has put into assisting homeless people that frequent the district, taking time to get to know their stories and offer social services. 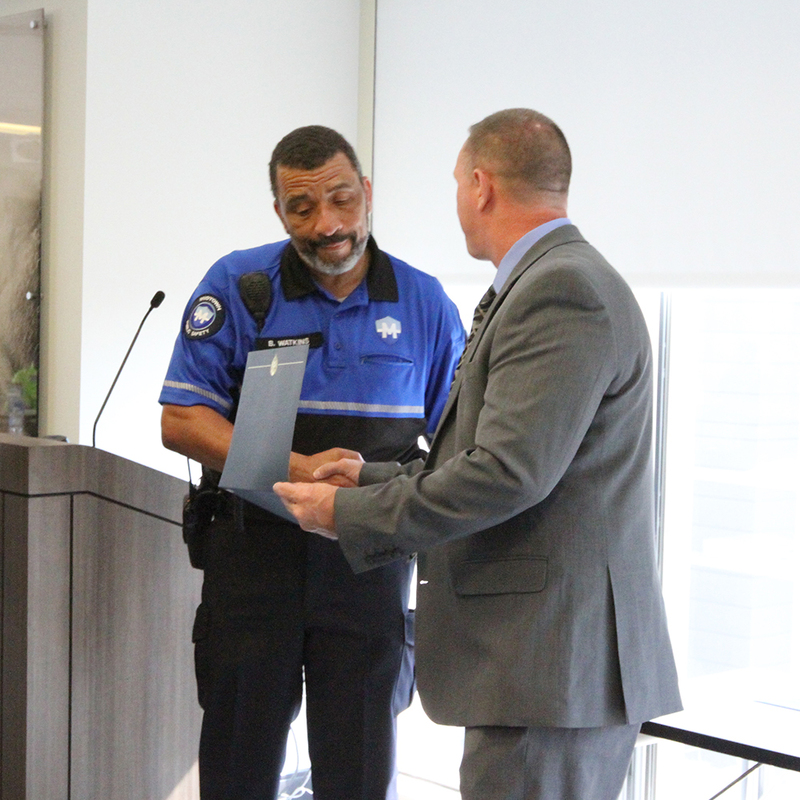 APD Officer Michael Bratton received recognition for his patrol work that has resulted in multiple arrests in Midtown, getting suspected criminals off the streets. 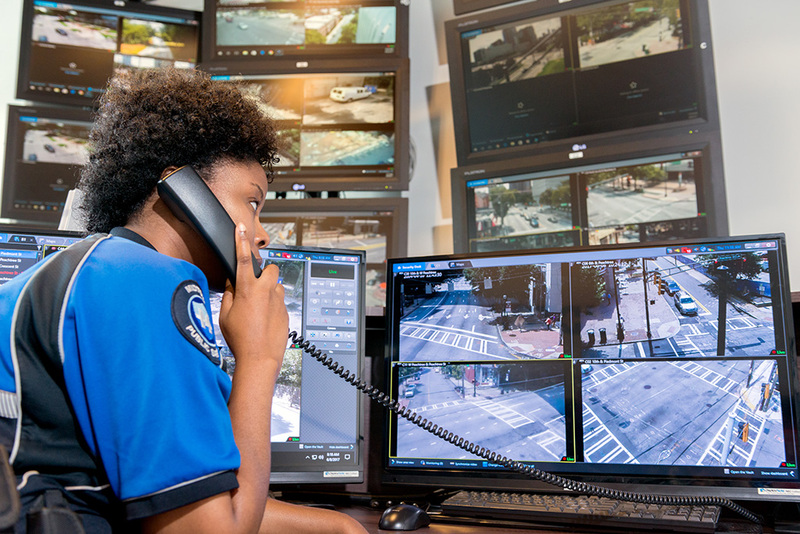 In close coordination with the City of Atlanta and the Atlanta Police Department, Midtown Alliance provides more than 700 combined hours of supplemental public safety patrolling in the district and performs daily maintenance, clean up and landscaping in the public right of way. Learn more about the impact of these programs. 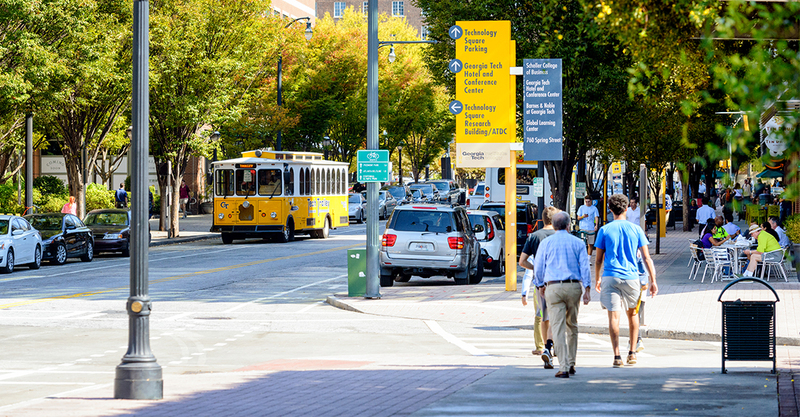 Following the high-speed fiber internet boom, Midtown Green and Atlanta Department of Public Works partner to streamline sidewalk restoration process.